Pipeline and utility companies must know the status of remote infrastructure 24/7. There’s no room for guessing. You can’t operate in the dark. Infosat keeps you in constant contact with your remote equipment through automated M2M communications. Our Sensor Monitoring solution transmits a regular flow of small data packets that require only a low level of bandwidth. 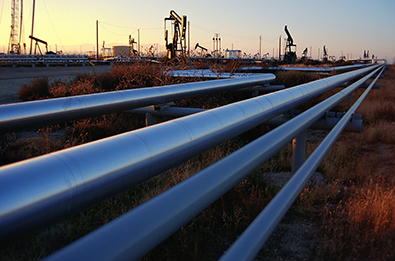 We keep Canada’s largest pipeline and utility companies up and running. Every hour, our satellite network relays signals from thousands of individual data points along thousands of kilometers of pipelines and transmission lines. What remote pipelines or transmission lines do you need to monitor? What questions do you have about M2M communications over satellite? For pipelines and utilities signal availability spells the difference between being up and running or shutting down operations. Your choice of satellite networks is vitally important to your business. Should you accept anything less than the most reliable option available? For more than 25 years Infosat engineers have feverishly devoted themselves to removing every obstacle to 100% uptime. We set the industry standard for reliability and continually raise the bar.